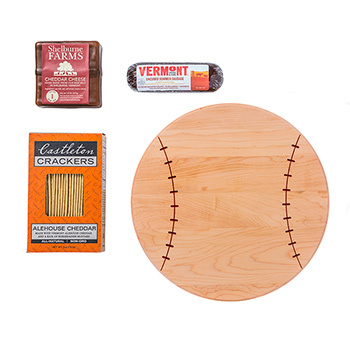 Our Lunch Maker's Gift Set features our Takes-Two Maple Board which is the perfect size for making sandwiches, and makes a great everyday all-purpose kitchen prep board. 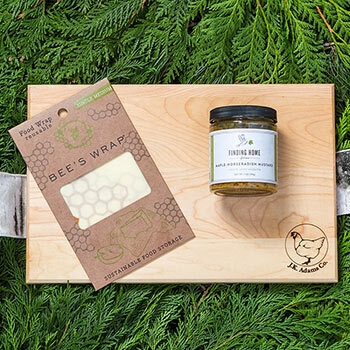 The gift set includes our favorite Bee's Wrap, a reusable canvas & beeswax food wrap that reduces daily waste and keeps foods fresh as long as any plastic or foil wrap. It's a great way to wrap a sandwich! 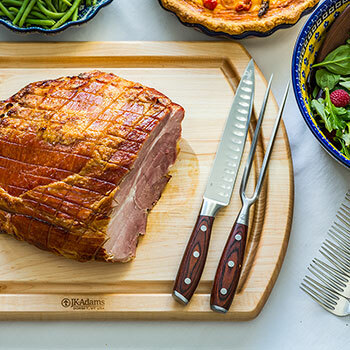 Finally, take any sandwich to the next level with the delicious flavor boost of Finding Home Farm's Maple Horseradish Mustard (7 oz.) 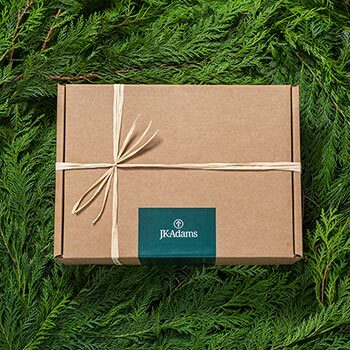 The entire ensemble comes in a signature JK Adams gift box with ribbon. BEE'S WRAP: Hand wash only, hang to dry. Do not use in microwave.